Eastern Connecticut State University, B.A. Kristen F. Perkins is a paralegal in the firm’s Litigation Department, working with attorneys who represent clients in litigation matters in both state and federal courts, as well as criminal defense matters and arbitration proceedings. 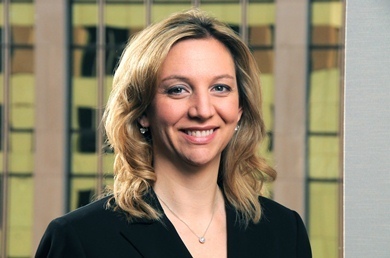 She has extensive trial experience (jury and non-jury) in litigation matters, including commercial litigation, construction and employment law and assists in the preparation of pleadings, appellate briefs and legal memorandums. In her role of implementing electronic discovery practices and procedures within the firm, Kristen consults with attorneys and clients on the development and implementation of preservation plans, discovery plans, document collection, review and production, and overall discovery strategies. She conducts client interviews to assess corporate information technology infrastructure and storage practices. National Federation of Paralegals Association, Inc.